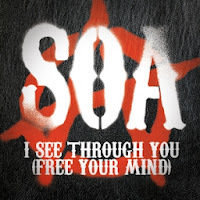 “I See Through You (Free Your Mind),” a collaboration between Battleme and Sons of Anarchy house band the Forest Rangers, opens with prairie-style guitar before building into a powerful, country-rock stomp. Halfway through, a far-out psychedelic organ jumps in, completely redefining the song as Battleme urges listeners to “free your mind” in a croon that fits both styles simultaneously. "When I was looking at a particular scene for Episode 611, I thought of Battleme and brought him together with the Forest Rangers,” SoA music supervisor Bob Thiele tells Rolling Stone. "'I See Through You’ is a really cool, acoustic-psychedelic rave-up to underscore a pivotal scene. It's got that classic San Fran vibe from the Sixties, replete with a killer organ solo by Phil Shenale. Here was a really great opportunity to tip the cap to those bands from the Haight-Ashbury who were so prominent to the MC culture back then. I'll hope that John Teller is smiling when he hears this." 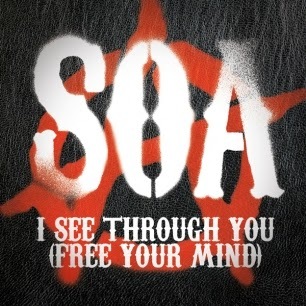 “I See Through You,” out November 19th, follows a string of singles released off the series soundtrack Sons of Anarchy, Vol. 3. The disc also includes show stars Katey Sagal covering Jackson Browne and Maggie Stiff performing a Dillion O’Brian original. The full soundtrack is out December 3rd.